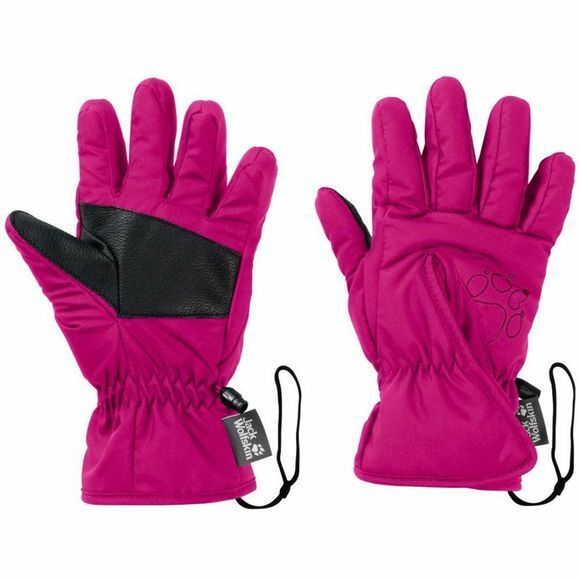 With the Kids Easy Entry Glove from Jack Wolfskin, it's all in the name. A large Velcro strap makes them extremely easy to get on and off, so even the youngest children can manage them on their own.The gloves incorporate a light, robust and very warm synthetic fibre insulation material which means they stay warm even if they get damp. Add in a windproof outer fabric and a soft thermal Lining and you get an unbeatable cold-busting combination. To stop these gloves from parting company with your little adventurer, they are equipped with an elasticated retainer strap that goes around the wrist. And with their reinforced palms the Easy entry Gloves are built to withstand harsh treatment.